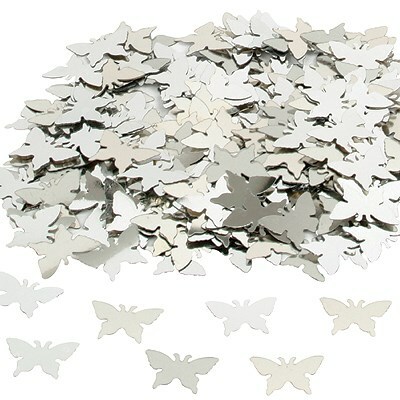 Sprinkle a light covering of this metallic butterfly table confetti on each of your wedding tables to add sparkle and shine. (1 pack is normally sufficient for approx. 2 -3 tables seating 8 -10 people. 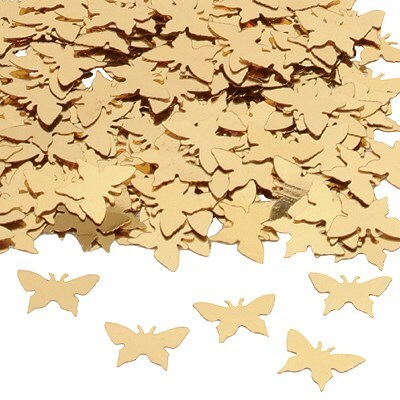 Another great idea is to sprinkle some in each of your wedding invitations and thank you cards. NOTE: This product should NOT be used as throwing confetti.